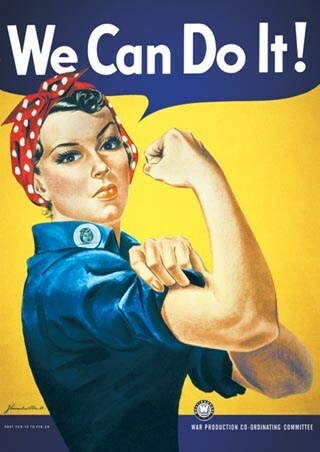 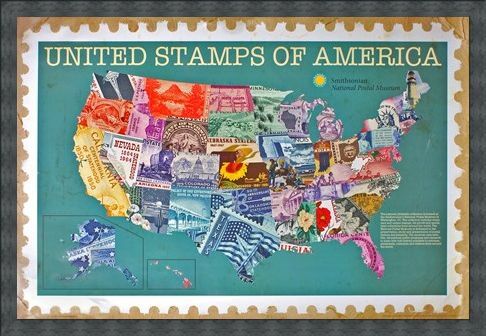 Educational Poster: The National Postal Museum of the USA is dedicated to the preservation, study and presentation of postal history and philately. 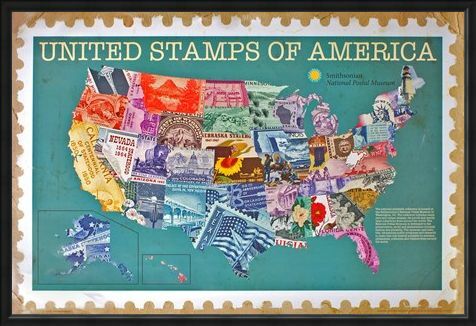 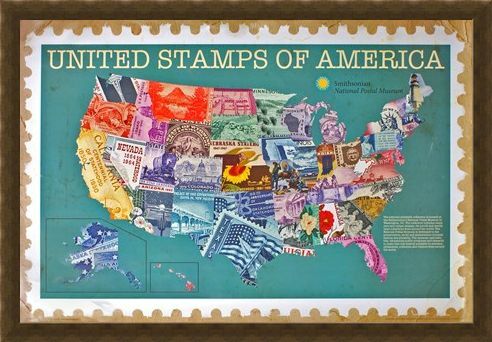 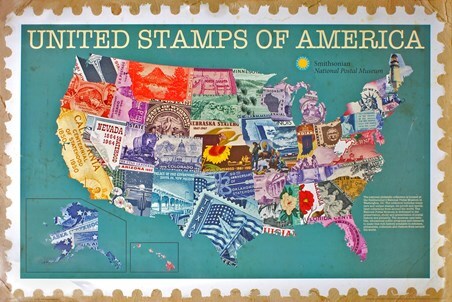 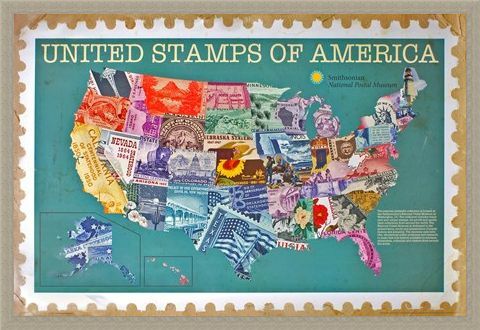 This unusual map aims to present stamps in a unique way by using a different vintage example to represent each of the 50 states of America. 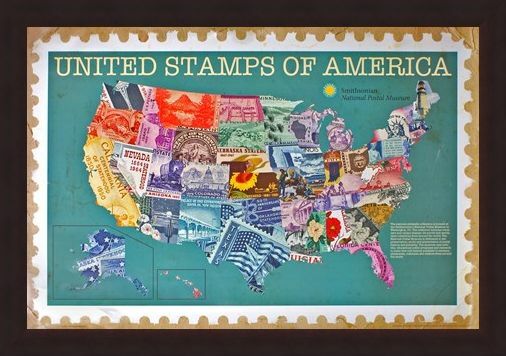 If you are a keen philatelist, geography student or merely appreciate quirky artwork then this colourful stamp collage is a great way to brighten up your home, office or classroom. 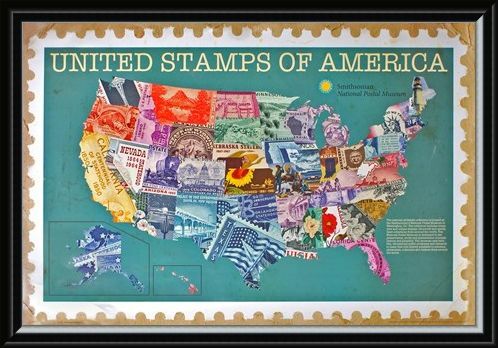 High quality, framed United Stamps Of America, The Smithsonian Institute poster with a bespoke frame by our custom framing service.